Chief among the many not-so-vast overviews is American Wine, by Jancis Robinson and Linda Murphy: the former needs no introduction and the latter not much more, as she created the wine section of the San Francisco Chronicle. They cover all 50 states: yes, Hawaii makes wine. So does Alaska [Mama Bear Red, I should think.] Also from University of California Press this year: Wine Atlas of Germany, and Wines of South America, with sommelier Evan Goldstein going beyond Chile and Argentina to cover the whole continent—almost: Guyana, French Guyana and Suriname have yet, apparently, to get with the program. Shrinking to the regional we come upon Charles L.Sullivan’s Sonoma Wine & the Story of Buena Vista, which deserves better than its drab dust jacket, and Tilar Mazzeo’s double-play, Back Lane Wineries of Napa and the same for Sonoma. Greens will go for the California Wine Institute’s Down to Earth: A Seasonal tour of Sustainable Winegrowing in California. ¶ Italy leads with its king and queen, Barolo and Barbaresco, by Kerin O’Keefe, who covers both staunch traditionalists and fractious innovators. Tom Hyland ranges Beyond Barolo and Brunello: Italy’s Most Distinctive Wines, exploring roads less traveled and wines less known. For decades now Gary Grunner and Bob Lipinski have been eating and drinking all over Italy, with Gary furiously scribbling into his battered, raggle-taggle notebook. 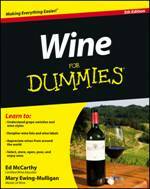 At last they have core-dumped its into the 178 pages of Italian Wine Notes. Rather less wieldy is Ian d’Agata’s Native Wine Grapes of Italy, whose phone-book heft results from Italy’s staggering abundance of grape varieties. The weight of detail here rather smothers the author’s personality, which to me is a blessing. Of similar heft is Bob and Kathie Lipinki’s International Beverage Dictionary, whose waters are deep enough to drown in, somewhere between A Boire and Zytnia. ¶ Too many years ago I was still a punk in wheelpants when I was bullied into interviewing Marchese Piero Antinori—and on his home turf, too. Too scared to decline and too dumb to lie, I sallied unqualifiedly forth: down to the Arno, across Ponte Santa Trinitá and into Piazza Antinori, where, opposite the Cappella Antinori I turned left and unconfidently entered Palazzo Antinori. Home turf indeed. But let it be said that the Marchese was kindness and courtesy itself, innately gracious [maybe he heard my knees knocking]. 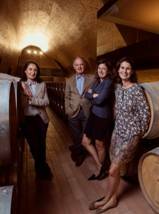 He’s the same on the page as in person in The Hills of Chianti: The Story of a Tuscan Winemaking Family, in Seven Bottles, in which he writes of passing on his six-centuyry-old family business to his daughters Allegra, Alessia and Albiera. Rather less rarefied is A Toast to Bargain Wines, George Taber’s tour of bargain country [which occasional splurges]. His chapter on [yellow tail] alone will set the snobs screaming. ¶ If you want just one drink, try Talia Baiocchi’s Sherry: A Modern Guide to the Wine World’s Best-Kept Secret; if more than one, the Mille Vini Italian Wine Guide. Eventually you’ll come round to pairing, and so to François Millo’s Provence Food and Wine as well as sommelier John Szabo’s Pairing Food and Wine for Dummies and Food & Booze: Essays and Recipes, a salmagundi from Tin House magazine. There’s not a drop to drink in Carol Hofberg’s Morocco on a Plate, but it’s here I’ve recently found some Moroccan wine, made from international varieties: Ouled Thaleb. You make wine in a Muslim country pretty much as porcupines make love. As John and Erica Platters’s Africa Uncorked explains, Morocco and some other Muslim countries don’t officially permit wine production, but avert their gaze so long as sinners keep their heads down. ¶ For tech types there are Proof: the Science of Booze, by Adam Rogers, Amy Stewart’s The Drunken Botanist: The Plants That Create the World’s Great Drinks and Marni Wasserman and Amy Jeanroy’s Fermenting for Dummies. These go well with an anecdotal mixer like Fred Minnick’s Whiskey Women, which one reviewer hailed as ‘oodles more fun than a women’s’ studies class.’ ¶ The martini [the Fred Astaire of cocktails] and the Manhattan [the Cary Grant] have long been in the limelight; now it’s Clark Gable’s turn, in a double-header: The Old-Fashioned: The Story of The World’s First Classic Cocktail, by Robert Simonson, and Albert W. A. Schmid’s The Old Fashioned: An Essential Guide to the Original Whiskey Cocktail. Rather more down-home is Mark Spivak’s Moonshine Nation: The Art of Creating Cornbread in a Bottle. Interested in advanced technique, local produce and relentless innovation? See Architecture of the Cocktail: Constructing the Perfect Cocktail from the Bottom Up, by Amy Zavatto; Artisanal Cocktails: Drinks Inspired by the Seasons from the Bar at Cyrus, by Scott Beattie; Craft Cocktails at Home: Offbeat Techniques, Contemporary Crowd-Pleasers, and Classics Hacked with Science, by Kevin K. Liu; and The Curious Bartender: The Artistry and Alchemy of Creating the Perfect Cocktail by Tristan Stephenson. For a little [much-needed] frivolity try Jeanne Benedict’s Cocktail Pops and Spiked Frozen Treats. For a shorter title, Modern Cocktails, by Swedish bar-owner Jimmy Dymott. ¶ The literary/celebrity angle brings us Philip Greene’s Hemingway compendium To Have and Have Another; Tim Federle’s pun-laden Hickory Daiquiri Dock and Tequila Mockingbird [e.g., the Are You There, God? It’s Me, Margarita]; and Tom Smith’s Sinatra salute, Drink Up and Be Somebody. ¶ If a freshly made Alamagoozlum haunts your dreams, grab Ted Haigh’s backward glance at the 100 recipes of Vintage Spirits and Forgotten Cocktails. For the straight skinny try The Art of the Shim: Low-Alcohol Cocktails to Keep You Level. Want to run your own bar? Jeffrey Morgenthaler’s The Bar Book: Elements of Cocktail Technique, Jenn Fiedler’s [’bout time we got some women in here], The Essential Bar Book, and Ray Foley’s Bartending for Dummies make their bids to join the classics: Dale DeGroff’s The Craft of the Cocktail and Gaz [ex-Gary] Regan’s The Joy of Mixology. ¶ Now is it just me or, looking back on the titles above, is cocktailery getting a tad cultish and self-serious, what with its outlandish and extravagant concoctions [one cocktail I saw recently requires 16 ingredients; three of them made from separate recipes] and artisanal ice? Faddishness breeds familiarity, and you know what comes next. Therefore let’s relax—while relax we still can—with beer in all its amber, foam-topped glory, as in Beer for Dummies and by The Foodie’s Beer Book, a pairing guide by the pair of Brooke and Luter Fedora. ¶ And let us not forget that good drink can be read as well as sipped, which is why I recommend Natalie Berkowitz’s The Winemaker’s Hand and Terry Theise’s Reading Between the Wines.